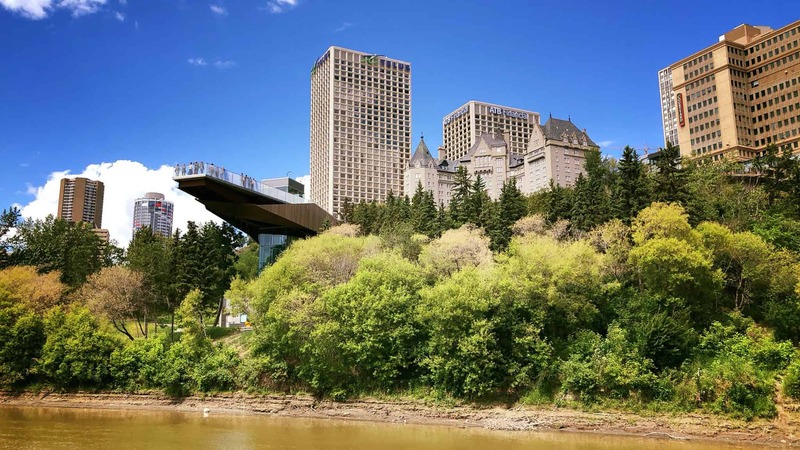 Completely Renovated, The Edmonton Riverboat Deserves A Visit! EDMONTON’S ICONIC RIVERBOAT IS READY! Join us for a weekend brunch, dinner, or just a beautiful sunset cruise in the heart of Edmonton. Under new ownership since 2016, we’ve done a million dollar renovation on the Edmonton Queen, now known as the Edmonton Riverboat. She deserves a visit! Our 2019 schedule will be released when it’s ready. Sign up to our newsletter to stay in the loop. the grass at Rafters Landing there is a good chance that you will receive a ticket. We encourage you to reserve tickets online. We do also sell some tickets at the boat but be aware the events do sell out! The ship leaves approximately 1 hour after boarding begins. The cruise lasts between 60 and 90 minutes. Costs are detailed on our ticketing website. Some events are cruise only, some include food. Food is available for purchase if you purchase just a cruise ticket. Again, this will all vary by event. Please note, these times may change due to things like weather and private events. Always check our website–sign up to our newsletter here to always be updated. For future bookings but you will see everything announced on the Edmonton Riverboat Bookings and Reservations page.